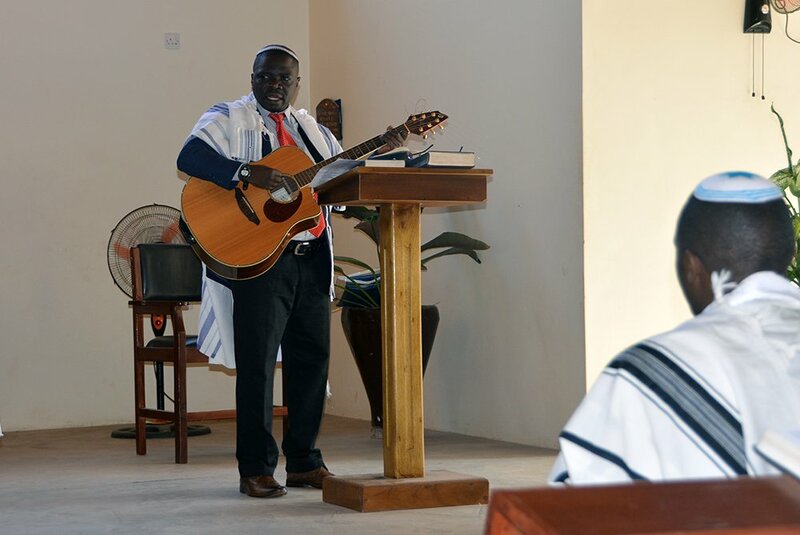 MBALE, Uganda (RNS) — During a recent Shabbat service here, Rabbi Gershom Sizomu led dozens of worshippers in a prayer for unity. Women sang psalms. Children clapped. Men wearing yarmulkes played drums and guitars. 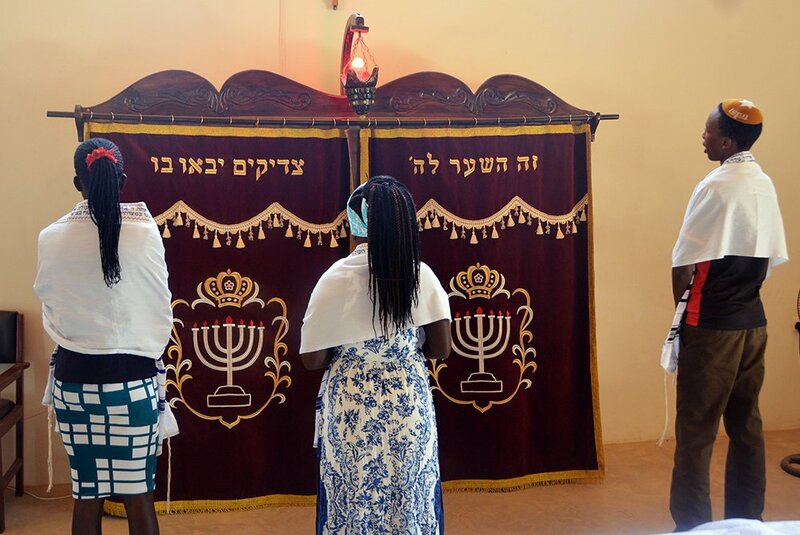 Locally known as Abayudaya or “the people of Judah,” they practice Conservative Judaism with an African flair — and right now, need exactly that prayer. A conflict is splitting the community, which is almost a century old. The conflict pits Sizomu’s supporters against his half brother, Joab Jonadab Keki. 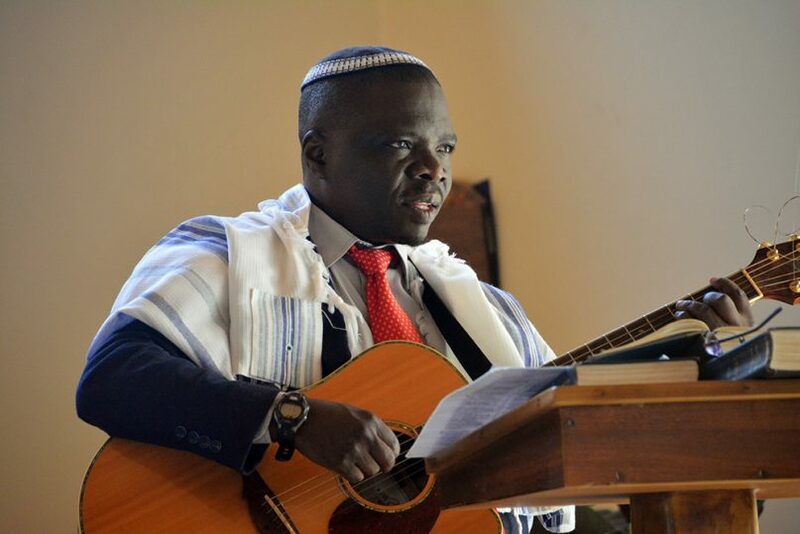 Keki has even asked a Ugandan court to remove Sizomu as rabbi, accusing him of mismanagement. Sizomu and his supporters denied the allegations and filed a counterclaim. Members of the congregation hope the community survives the growing divide. 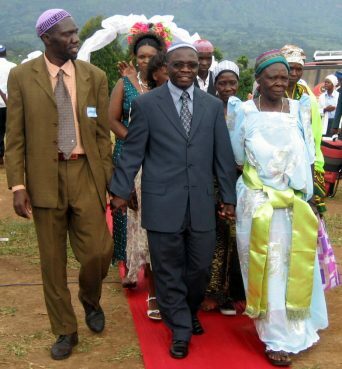 Located in Mbale, around 150 miles northeast of Kampala, the Abayudaya community of 2,000 people dates from 1919, when the British tasked Semei Kakungulu with spreading Christianity in eastern Uganda. Instead, he favored the Hebrew Bible and founded a Jewish community. In the 1970s, the community dwindled to a few hundred members when Ugandan dictator Idi Amin outlawed it. 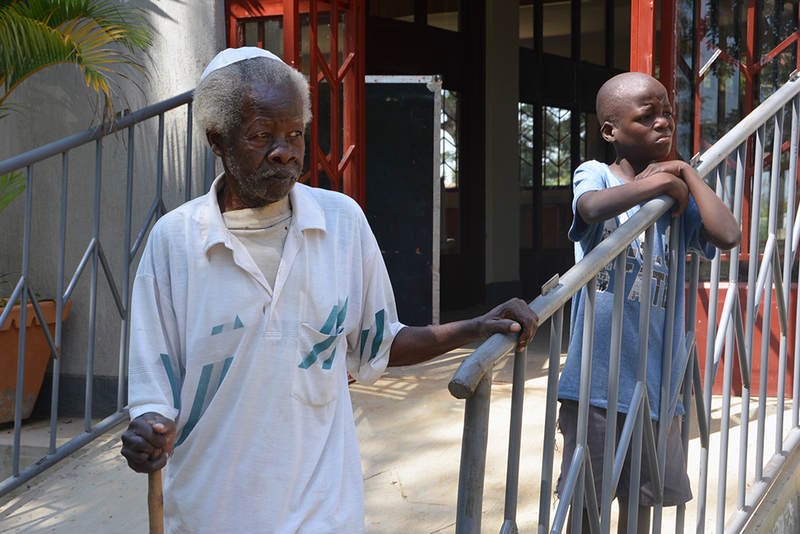 Keki, 59, has accused Sizomu, 49, of mismanagement of the Abayudaya community’s funds and properties, including its synagogue, health clinic, school, the rabbi’s house and another residence. Rather than managing those assets on behalf of the community or using them to support charitable causes, he’s enriched himself, Keki said. Be’chol Lashon, an American organization that raises awareness about and advocates for Jewish diversity, has worked with the Abayudaya since 2002. 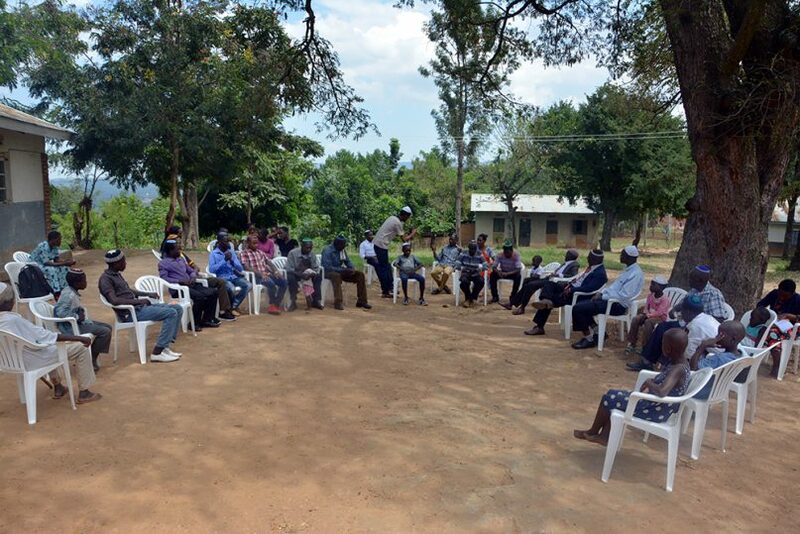 Be’chol Lashon strongly backs Sizomu and says that the community operates as an official Ugandan nongovernmental organization, which means it is regulated to prevent corruption. Keki is struggling with personal problems, said Be’chol Lashon founder and director Diane Tobin, including envy of a new generation of leaders and family issues. 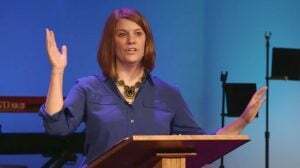 “This kind of lashon hara (the Hebrew term for “nasty gossip”) only hurts a community that is still struggling with issues of survival, including food shortages and infant mortality,” she wrote in an email. 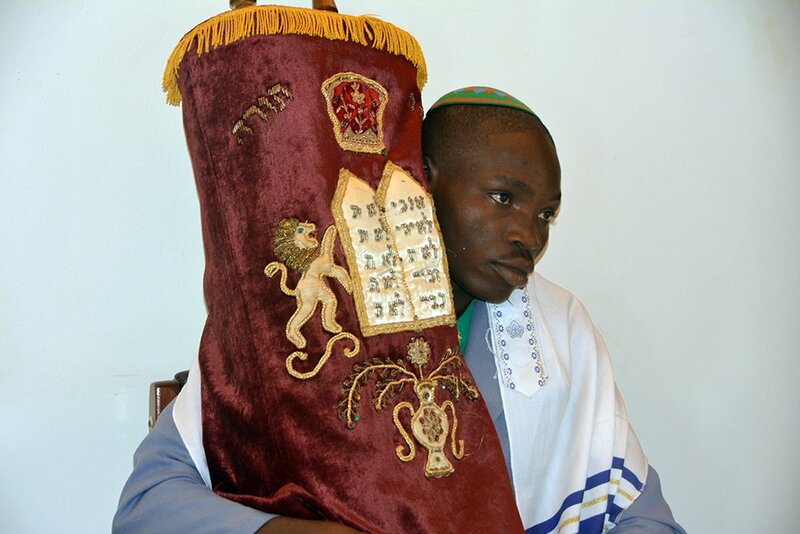 The Abayudaya practiced what they considered to be Orthodox Judaism, but without consistent support from other Jewish communities, until the early 2000s, when Conservative rabbis from the United States arrived in the region and founded the Stern Synagogue, in the village of Nabugoye, where Sizomu is now presiding rabbi. Having just completed his rabbinical studies at a Conservative seminary in Los Angeles, the Ziegler School, he began leading the community as a Conservative rabbi. He has spoken at Conservative synagogues in the United States, and this past summer, a young Abayudaya man worked at one of the movement’s summer camps, in New England. 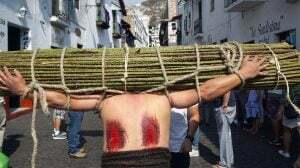 The movement referred all questions about this story to its international arm, Masorti Olami, which declined to comment. The Jewish Agency for Israel recognized the Abayudaya as Jews in 2016. But the Israeli government does not recognize them on the grounds that they didn’t convert under Orthodox rabbis. 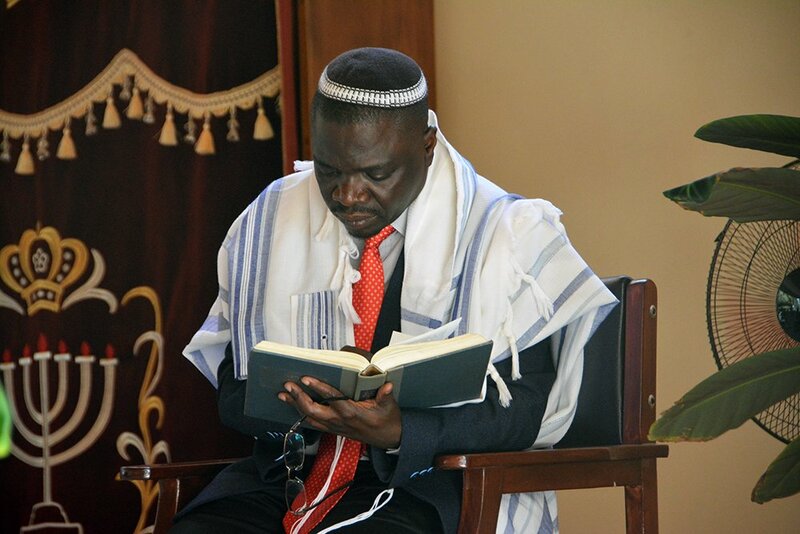 In June, Israel’s Interior Ministry denied the first and only request of a Ugandan Jew, Kibitz Yosef, to immigrate to Israel under the right of return, for example. 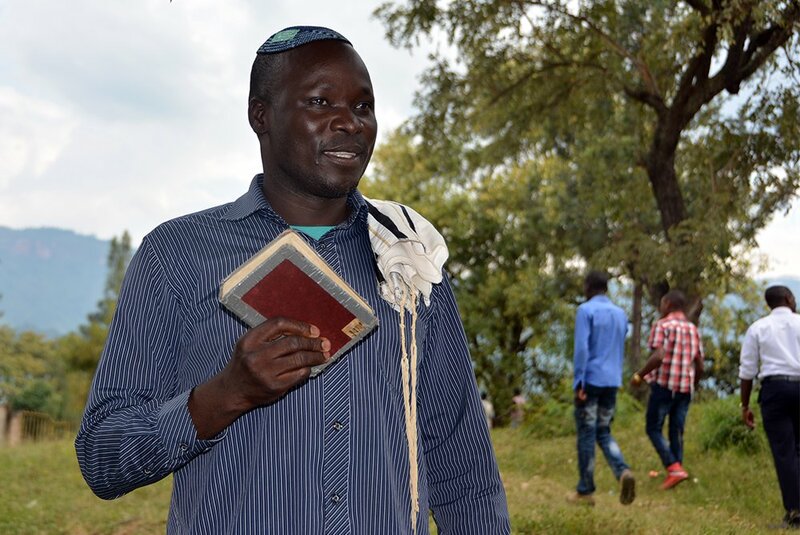 A rivalry between Conservative and Orthodox Judaism has settled at the heart of the conflict between Sizomu and Keki. Women and men have the same ritual responsibilities and rights in the Conservative movement, which tries to blend modern life with adherence to Jewish law. In Orthodoxy, women have fewer religious obligations, and more people adhere more closely to traditional practice, such as the obligation to pray three times a day. 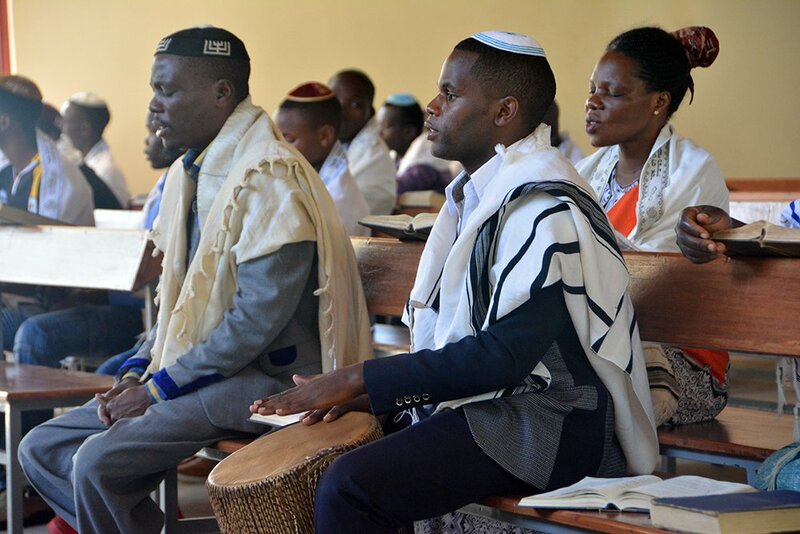 Today, Uganda’s Conservative Jews mostly live in Nabugoye. The Orthodox community of around 350 people lives in the nearby village of Putti, where they have hung Israeli flags from their grass-thatched houses. Most Putti residents are farmers who grow onions, peppers, tomatoes and melons. 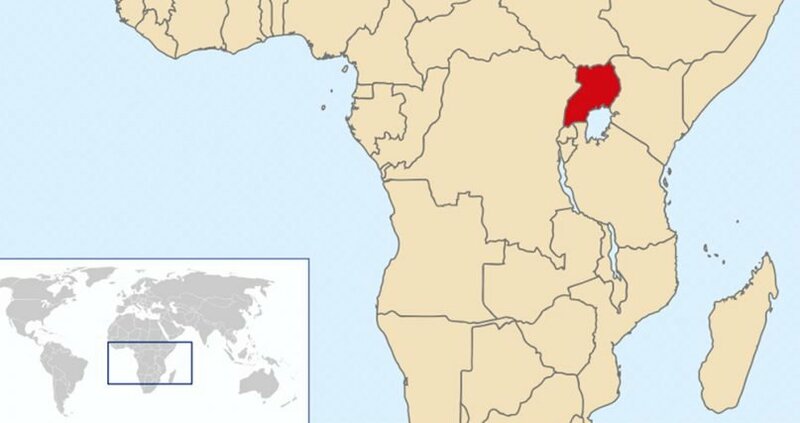 Nabugoye is a wealthier town, with a hospital, schools and other services that Putti lacks. 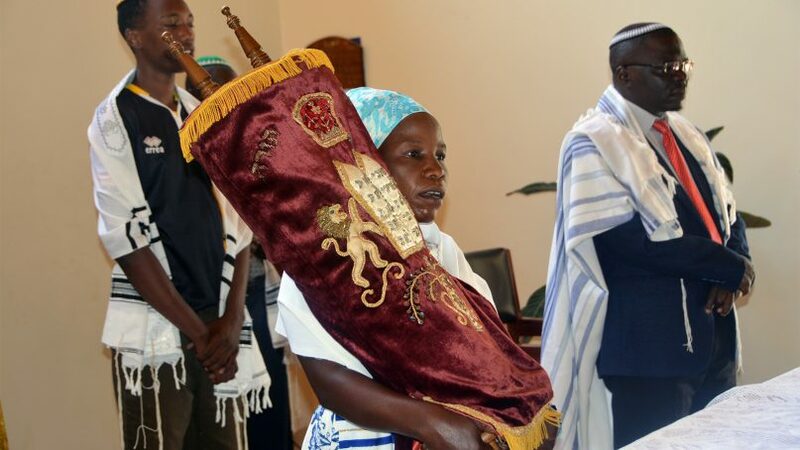 In recent years, as Israeli recognition has become more important among some in the community, Keki has successfully “converted” a handful of Ugandan Jews back to Orthodoxy, angering Sizomu. In Uganda, religious leaders celebrate when they gain more followers while those who are rejected lose face, said observers. Recently, the conflict has escalated beyond matters of faith and identity, however. 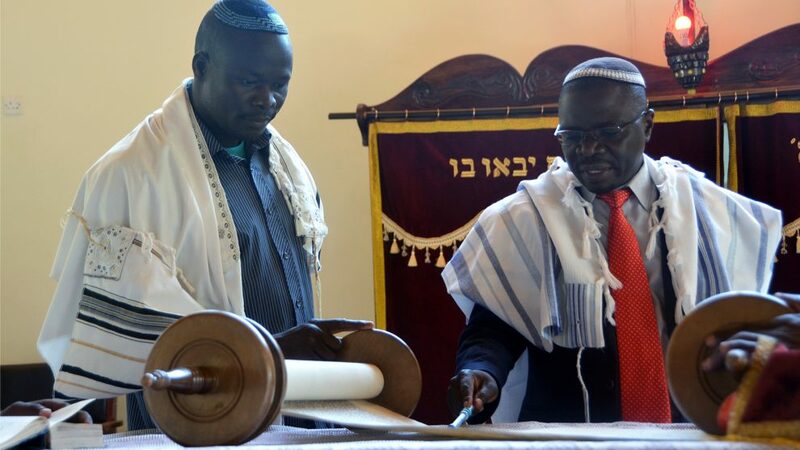 Keki, who is the chair of the Council of Elders of the Jewish Community in Uganda, said Sizomu has allegedly pocketed funds sent to Uganda from Jews abroad, including the New York-based nonprofit Kulanu, which supports Jewish communities around the globe. Harriet Bograd of Kulanu said the organization has heard about tensions there, but those reports haven’t affected the group’s donations, which go directly to each project. Neither Sizomu nor Keki has access to any of those funds, she said. “We are trying to stay friends with all the people in the community and appreciate all the things that they do,” Bograd said. Sizomu rejected the claims of mismanagement, saying Keki and his followers want a piece of the approximately $50,000 received annually through the Abayudaya Congregation, a nongovernmental organization the two brothers founded before their falling-out. The foundation receives donations but now only services the Conservative community. Even so, critics point to the health clinic as an example of malfeasance: It was built on Sizomu’s land with community funds. Sizomu had promised to transfer the land to the community but has yet to do so, according to Ministry of Land records. Sizomu’s retention of the land proves he’s absconding with community funds, said Keki. 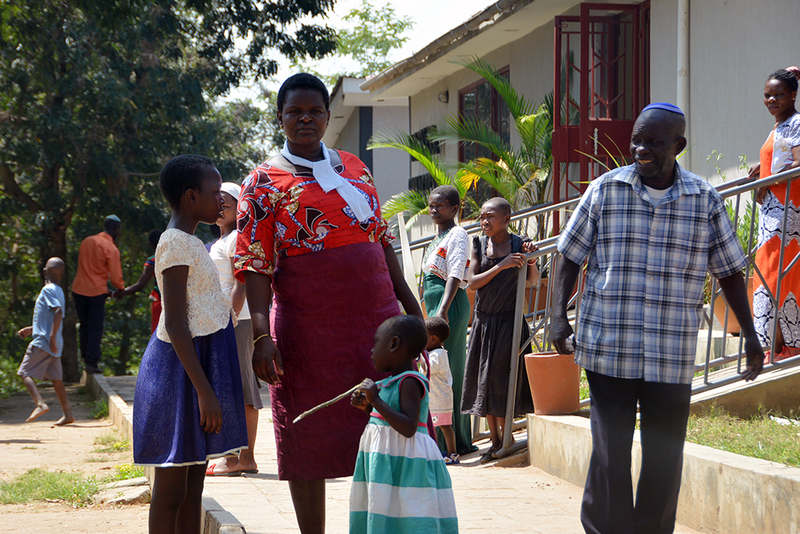 But Sizomu said he planned to give the health clinic property to the community, but not under pressure, he said. “The land belongs to me and I’m willing to give it,” he said. 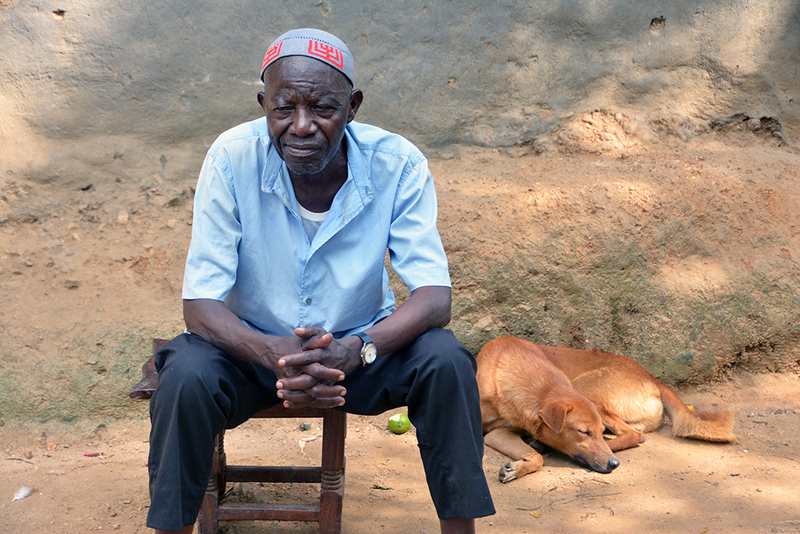 Sizomu also noted that the community purchased another nearby plot of land with the intention of giving him that land in return for the health clinic property. But that transfer has yet to happen. Instead, Sizomu accused his brother of greed, saying Keki and his followers are simply seeking money because they’re poorer than their Conservative peers. “My brother and his followers are misguided by the appetite for money,” he said. 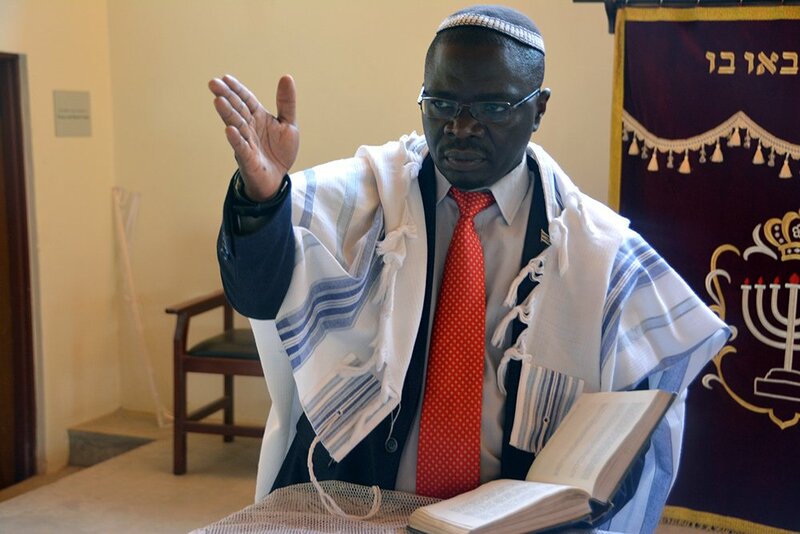 A judge has dismissed Keki’s application to have the community’s election nullified and remove Sizomu as rabbi. Keki has accused Sizomu of operating the health clinic, school and other amenities so they cater to Conservative rather than Orthodox Jews. The judge dismissed Sizomu’s counterclaim and ordered the brothers to settle their differences out of court. But Keki plans to file anew, in February. Conservative community members who congregate every Saturday in Nabugoye to pray accused Keki of trying to divide the Abayudaya. They support Sizomu as their rabbi, they said. Anyone fighting him, they felt, was evil. Ari Feldman contributed reporting. 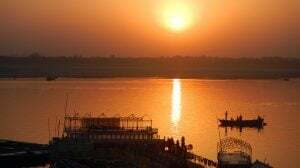 This story was produced and published in partnership with the Forward and with Associated Reporters Abroad (ARA Network).